It’s been a while since I’ve had time to write a post – two editing jobs, Christmas and a 7yo birthday party does take up a little time. But we have certainly been out and about, and of course, doing lots of reading. The influx of books in our home at the moment from the library and Christmas has led to lots of ideas and excursions. 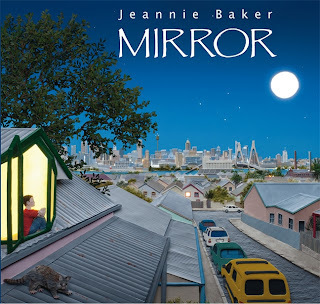 I am a big fan of the author/illustrator Jennie Baker – her long list of picture books includes 'Window', 'The Story of Rosy Dock', 'Home in the Sky', 'The Hidden Forest', among others. 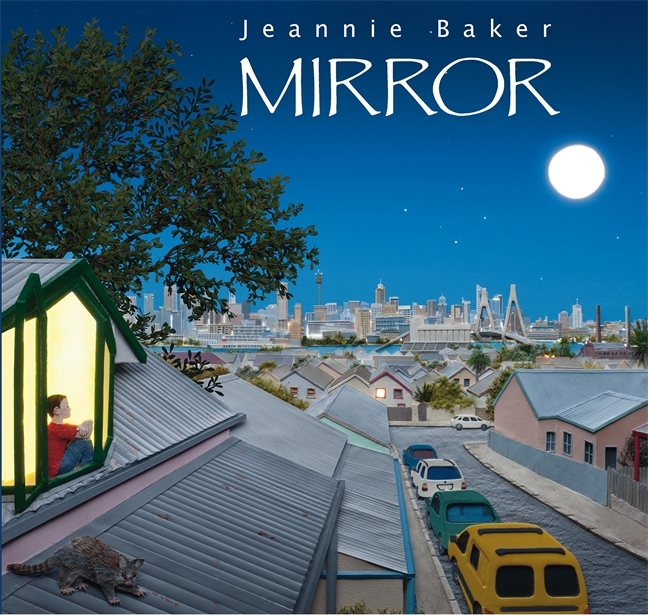 Her latest book, 'Mirror', is a wordless picture book, and the original artwork is currently exhibited at the Melbourne Museum. We were allowed to take photos there, but my photos don’t do justice to Jennie’s collages. Tom and I were in awe at the detail. While we have read 'Mirror' quite a few times (thanks to Grandma for such a wonderful birthday present for Tom!) there is a difference between the photographed pages of the book and the original collages. 'Mirror' is the story of two boys, one living in Sydney, Australia and one living in Morocco, North Africa. The introduction states: The lives of the two boys and their families look very different from each other and they are different. But some things connect them … just as some things are the same for all families no matter where they live. I have been thinking about making some collages with the kids for a while. I thought I would explain that collages use different materials, natural and artificial. I thought I would offer the idea of making a collaborative collage of our backyard. I thought I would suggest that we draw a picture of our backyard first, then decide which area we could turn into a collage. I thought we would include a figure to represent all of us outside – Brett and Tom playing cricket, Annalise riding her bike, Joe crawling in the dirt and me gardening. I thought we would go outside and collect natural materials, such as twigs, leaves, grass, petals, tiny stones and other odds and ends. I thought we would then go inside and gather up bits of string, fabric, glue, cardboard, paint, paper and other bits and pieces. I thought I had an old canvas we could paint over. And while I was thinking all of this – Tom just did it. No mucking about, no idle daydreaming, just straight into the creating. He used corrugated cardboard, string, paper, sticky tape and glue to make a figure of himself playing cricket. There, done! I still have plans to make that backyard collage. Jennie can take up to three years to create her masterpieces – we have the remaining three weeks of the school holidays! I’d also love to mimic the idea of two books in tandem – have a look in a bookstore for 'Mirror' to see the clever design for two individual stories to be read together. Omg I love Tom's collage, it is just adorable. He even has the leg pad thingies going on. Too cute. Great work Tom! Love it. Now for a collage with wings please! :) And thanks for the reminder and link to Jennie Baker and her inspired books. So wonderful to see how the exhibition inspired your youngster. Jeannie Baker is amazing, isn't she?